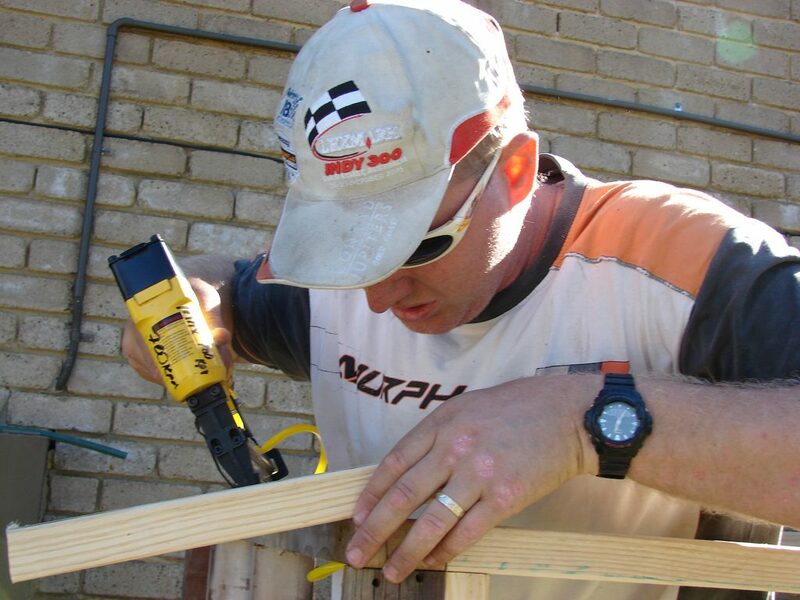 Although a finish nailer is not as widely used it is still an essential power tool for various woodworking tasks. Compared against the more popular brad nailer, they have a lot more holding power, which is great for hard materials. The best finish nailer is the BOSTITCH N62FNK-2, which is a lightweight (3.8 LBS) pneumatic nailer with a driving power of 400 in/LBS. As with the other types of nailers, there is a choice of pneumatic and electric finish nailers. Many people prefer the lightness and power from a pneumatic type but it does require an air compressor (with adapters) in order to use it. 7.1 Why Do You Need a Finish Nailer? The majority of finish nailers usually drive nails between 15 and 16 gauge but many use a bigger gauge for finer finishes. If you are planning to do framing or large woodworking projects, you are best of going for a more heavy duty framing nailer. There is a variety of choices that suit all budgets and experience as many average DIY’ers will not need an expensive top of the range example. Ensuring you have considered all the factors from power type, firing modes, magazine types and more is crucial. Below is a list of the best finish nailers that include both electric and pneumatic power types. The Bostitch finish nailer is one of the most popular within this article and has many stand out features. Such features include lightness as it weighs just 3.8 LBS and it also includes 4 profile tips with sample fasteners and much more. It fires 15-gauge nails at 1 1/4-inch to 2-1/2-inch in length and it is an oil-free angled pneumatic finish nailer that comes with an impressive 7 year limited warranty. In terms of the performance, the operating PSI is between 70 and 120 PSI with a driving power of 400 in/LBS. In order to reduce a jam in the magazine, it removes much easier than the majority of cheaper alternatives and it also holds 130 nails. Overall, the Bostitch N62FNK is the best pneumatic finish nailer with the lightness making it much easier to use for tasks such as overhead application and more. The Hitachi NT65MA41 is an affordable finish nailer that is available as a 15 gauge or 16 gauge nailer. Features include an integrated air duster, a selectable actuation switch and adjustable exhaust portal and much more. This particular model accepts 15 gauge nails ranging from 1-1/4 Inch to 2-1/2 Inch in length and has a max capacity of 100 nails. The tool-free drive adjustment dial allows the user to adjust the force as well as match the nail to the job in hand. As its a pneumatic finish nailer, an air compressor is required and once connected, it operates at 70 to 120 PSI. For the extraction of gases, Hitachi have included a 360 degree exhaust that allows you to direct it in an opposite direction to your work area. Overall, the Hitachi NT65MA41 is the best finish nailer for the money and has many features to keep the more experienced professionals happy. Dewalt is a brand that needs no introduction and their DC618K XRP is one of the most popular cordless finish nailers on the market. It has both a sequential and bump operating mode and is a 20 degree angle design with the magazine accepting a maximum of 120 nails. The DC618K accepts 16 gauge nails that range from 1-1/4 to 2-1/2 inch in length and the 20 degree angled magazine accepts both Dewalt and Paslode nails. Dewalt promise that this finish nailer provides the speed and ease of a pneumatic nailer but without the need of an air compressor in order to remain easily portable. Professionals that may use a finish nailer for many hours during a day will worry about the battery life of an electric finish nailer. However, with the Dewalt 18 volt XRP battery, it uses their latest extended run time battery technology to provide 40% more run time than standard Ni-Cad batteries. Better still, they charge in just 1 hour and it includes a LED display so that you can keep track of your battery life. Overall, the Dewalt DC618K is the best cordless finish nailer you can buy and although the price is fairly expensive, it is a worthwhile investment. The Paslode 902400 is another cordless finish nailer but is more suited for professionals who need the ultimate example. Electric nailers are renowned for being fairly bulky and heavy but not the 902400 as it weighs just 4.5 LBS with the battery. For those on a budget, this nailer is not for you as its fairly expensive. However, it has many premium features including a pro-grade depth of drive adjustment, lithium-ion battery power, no-mar tip for work surface protection and more. In terms of the nails that it drives, it uses 16 gauge nails that vary in lengths from 1-1/4 – 2-1/2 inch. From a single battery charge, it will be able to fire 1,200 nails and each magazine will hold 100 nails at once. Overall, the Paslode 902400 is a highly rated finish nailer suited for professionals but the price and the fact that it only accepts Paslode nails may put people off. Compared against the Dewalt alternative above, which is also much cheaper makes this nailer less popular among DIY’ers. For those on a budget or want to purchase their first finish nailer for small DIY jobs, the NuMax SFN64 is ideal. It drives 16 gauge straight finish nails at 1 inch to 2 1/2 inch in length with an adjustable depth setting for different applications. The NuMax will not perform as well as the alternatives listed in this article but at a fraction of the cost, it is hard to go wrong. It is a cheap pneumatic finish nailer that operates at 70 to 110 PSI for easy nailing of materials. Although its a cheap finish nailer, it does include many features that are found on the more premium alternatives. Such features include a 360 degree exhaust, aluminum cylinder and magazine, quick jam release, no-mar pad and more. Overall, it is the best cheap finish nailer and offers outstanding value for money when compared against the other models. For the average DIY’er, it is an ideal nailer for interior and exterior work and comes with a 1 year warranty for peace of mind. Different projects require different tools and materials. In projects where nails are necessary, the best finish nailers will give your work an amazing finish that will make you proud. For professional carpenters, a finish nailer is a must have tool. However, while it is true that these tools are very important, your success will depend hugely on the quality that you acquire. As you may have noticed, many brands of finish nailers are available making it increasingly difficult to determine the right ones for you. However, the process does not have to be a hectic because by considering some factors, you can easily distinguish between an average nailer and a great one. We have therefore taken it upon ourselves to provide you with a complete buying guide with the hope that it will be useful to you. Why Do You Need a Finish Nailer? A finish nailer will come in handy in most of your construction, repairing furniture, cabinet installation and home improvement projects. A good finish nailer acts as an alternative for a hammer. This way, you will have less tools to carry to your site. It is time and effort saving. With its superior holding and attachment power, a finish nailer is very efficient and convenient. Contrary to what most beginners think, a finish nailer is very easy to use. This is a basic type of finish nailers that is widely available. The nailer is very affordable and even beginners can use it perfectly. It uses air from an air compressor to drive nails so it is relatively efficient. Quick open nose pieces that help you to fix bent or jammed nails. In as much as this tool in itself is affordable, its costs adds up because it uses an air compressor. Also, the fact that this finish nailer is easy to use makes it ideal for beginners or professionals who are only interested in DIY. The main obvious disadvantage is that it is slightly heavier due to the fact it has a battery and motor. Whether you opt for an electric pneumatic nailer depends on your personal needs and preferences. If you like working in a quiet environment and finish your projects quickly, I recommend that you go for an electric finish nailer. However, if you are under a budget, a pneumatic finish nailer will still do the trick. The design of the finish nailer is definitely one of the other factors that you need to keep into consideration when picking a finish nailer. 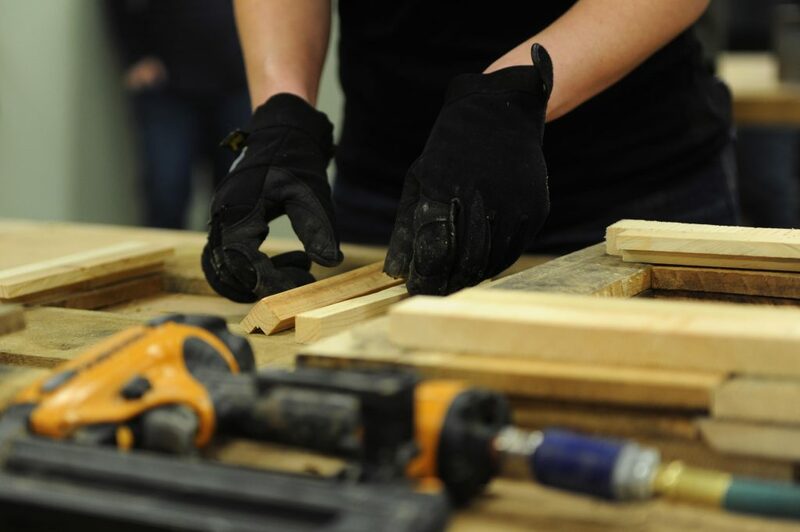 Regardless of whether you opt for an electric or pneumatic nailer, the tool should have a design that allows you to hold on to it perfectly for extended period. It would be entirely useless if you sign up for a product that has loose grip or one that is too tight. For a cleaner and safer working environment, the finish nailer that you choose should have a high quality exhaust mechanism. Finish nailers that have this feature work well in places where there is a lot of dust and debris. They can direct the dust and debris away from you therefore safeguarding your health as well. In any working environment, the safety of the operator and those around should always come first. You can ensure that this is possible by picking a finish nailer that has a great fry out feature. In case you did not know, the dry fry lock out is what safeguards the nailer by preventing misfires and accidents. This feature becomes active when there are only a few nails left in the magazine. The growth of technology has seen to it that an operator can see how many nails are left in the magazines by introducing open dry fry lock out. Different brands of finish nailers are available with all having varying triggers. However, the best models are those that have selectable triggers. These nailers allow the operator to switch from one sequential to contact firing mode and vice versa comfortably. This feature does not only make the nailer reliable but also easy for the inexperienced to used. The most common types of finish nailers support either 15 or 16 gauge nails. This, therefore gives you something to think about before settling for your preferred product. Both the two types of finish nailers have their pros and cons. For instance, the 16 gauge nails have smaller diameters and can penetrate through tight spaces with ease. Moreover, professionals have preferred these types of nailers for a very long time now. On the other hand, the 15 gauge nails are the latest addition to the market. They have a larger diameter as compared to the 16 gauge nails. The main advantage of the 15 gauge nails is that they are very strong so they do not have a chance of breaking. They are however mostly used by professionals. The type of finish nailer that you will opt for in this category will hugely depend on the types of projects that you will be working on mostly. If you are going to work on projects that involve navigation through tight spaces, an angled finish nailer will be ideal. However, they are relatively costly as compared to straight nailers, which are only suitable for straight forward tasks only. When working on a project, the last thing that you want is a tool that is very heavy for to carry around. When out to purchase a finish nailer, it is upon you to pick a lightweight but sturdy product to avoid possible future frustrations. Yes, it is true that many brands and models of finish nailers are now available in the market thanks to the growth of technology and continued innovation. However, not all of these products meet the required standards. On the other hand, you can inquire from friends and families who are more versed with these products. Some of the most popular brands include DeWalt, Makita, Bostich, Senco and Hitachi. The most common problem that people have, especially beginners is nail blow out. You can avoid this problem by positioning the center of the finish nail tip at the position where you want the nail to pass through. The next step is to align your gun in the same direction. This will ensure that the nail remains in position. Regardless of whether you are a professional or you are just practicing DIY, it is important to note that going hard on old or plastic walls will only results to cracks and more damage to your surface. On the other hand, if you are working on hard surfaces, use the 15 gauge nailers to push the nail through. When working on your projects, it is normal that you will have stray nails. However, how do you deal with them? Do you pull them out or break them off? Depending on how far you have driven the nails in, you can either pull them out or break them. If you choose to break off the nail, used a nail set to bury the remainder to enhance the look of your surface. As mentioned, safety is very important at your work place. Even though some finish nailers come with their safety features, taking extra care will not hurt. Put on appropriate working gears, clear your work station of any unwanted tools or debris and adhere to the instructions provided by the manufacturer. One brand might differ from another regarding how they work. Assuming that just because you have worked with a different brand previously the new brand will work under the same principals is not a good idea. Amongst your very important tools in a workshop is a finish nailer. The tool is responsible for quality finish on your furniture, cabinets and another project that involves wood. While it is true that many brands and models of these tools, it is upon you to find one that works for you. You can consider factors such exhaust, dry fry lock out, type of trigger and decide whether to go for electric or pneumatic finish nailers. 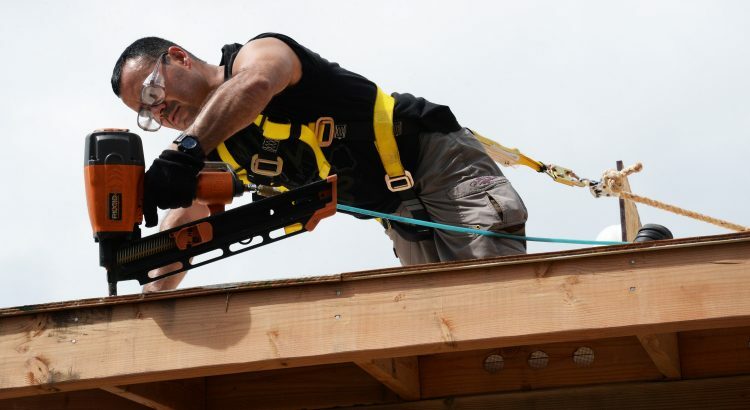 As stated above, if you are in need of something that is more powerful and heavy duty, the more popular framing nailer may be the power nailer that you require. However, holding power is not all that you require as a small brad nailer uses less power for nailing down trim with a thinner gauge.